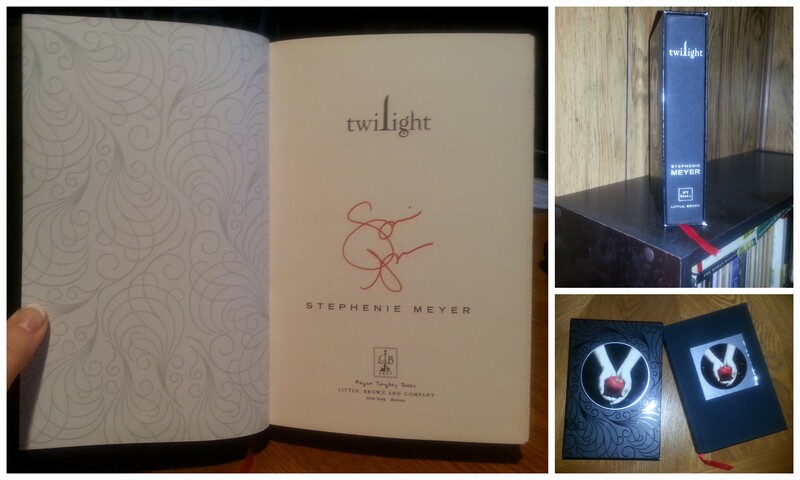 As promised to my followers on Facebook a few months back, I am finally giving away a hardcover of Twilight, autopen-signed by Stephenie Meyer!! 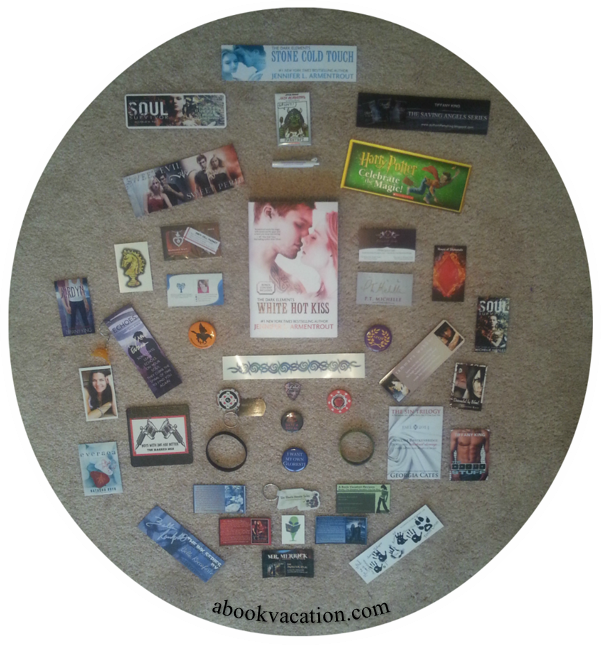 This is an INTERNATIONAL giveaway from A Book Vacation Reviews. 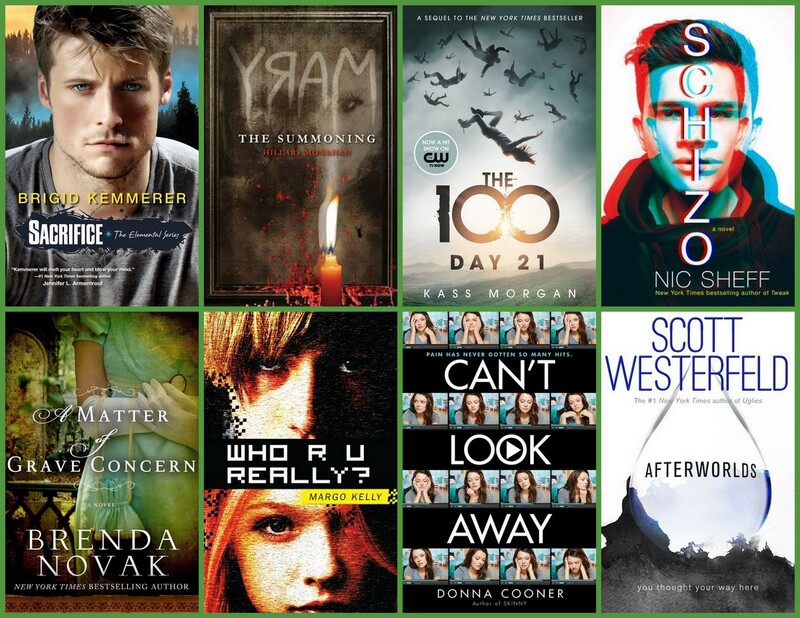 This contest is open internationally and will end at 12:01am EST on April 22nd. The winner will receive email notification! Please read my giveaway policy and leave me a comment! Click here to go to the Rafflecopter Entry Form! This contest is open INTERNATIONALLY and will end at 12:01am EST on December 17th. The winner will receive email notification! Please read my giveaway policy and leave me a comment! Happy November! 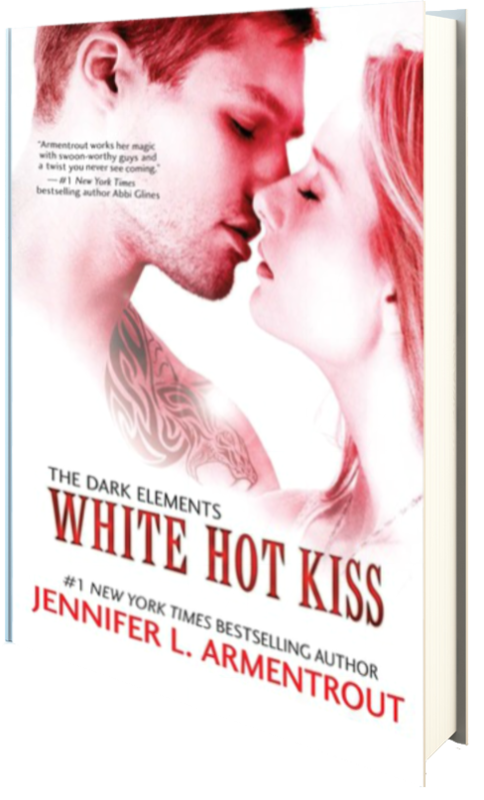 For my stop on the Books I’m Grateful I Read Giveaway Hop, I’m giving away a signed paperback of White Hot Kiss by Jennifer L. Armentrout, as well as lots of signed swag and goodies. Why? 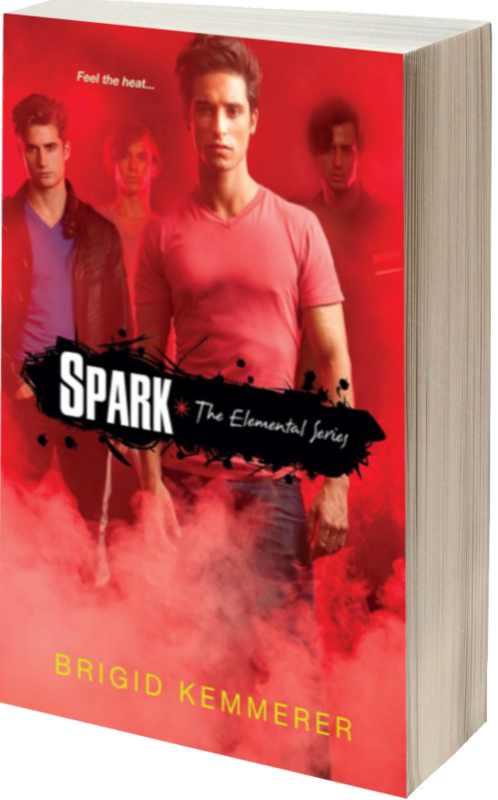 Because I’m grateful I read this amazing novel–the novel that started my love affair with all books by Armentrout, and, well, swag is awesome, right? Seventeen-year-old Layla just wants to be normal. But with a kiss that kills anything with a soul, she’s anything but normal. Half demon, half gargoyle, Layla has abilities no one else possesses. Raised among the Wardens—a race of gargoyles tasked with hunting demons and keeping humanity safe—Layla tries to fit in, but that means hiding her own dark side from those she loves the most. Especially Zayne, the swoon-worthy, incredibly gorgeous and completely off-limits Warden she’s crushed on since forever. Then she meets Roth—a tattooed, sinfully hot demon who claims to know all her secrets. 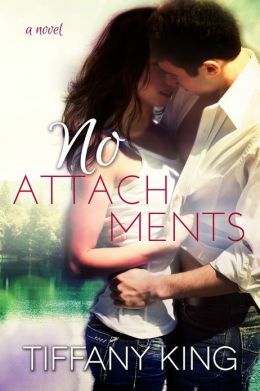 Layla knows she should stay away, but she’s not sure she wants to—especially when that whole no-kissing thing isn’t an issue, considering Roth has no soul. 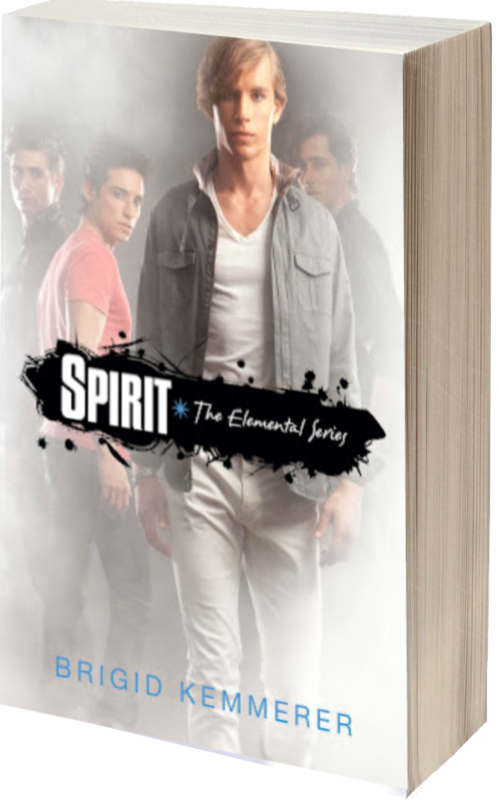 But when Layla discovers she’s the reason for the violent demon uprising, trusting Roth could not only ruin her chances with Zayne… it could brand her a traitor to her family. Worse yet, it could become a one-way ticket to the end of the world. 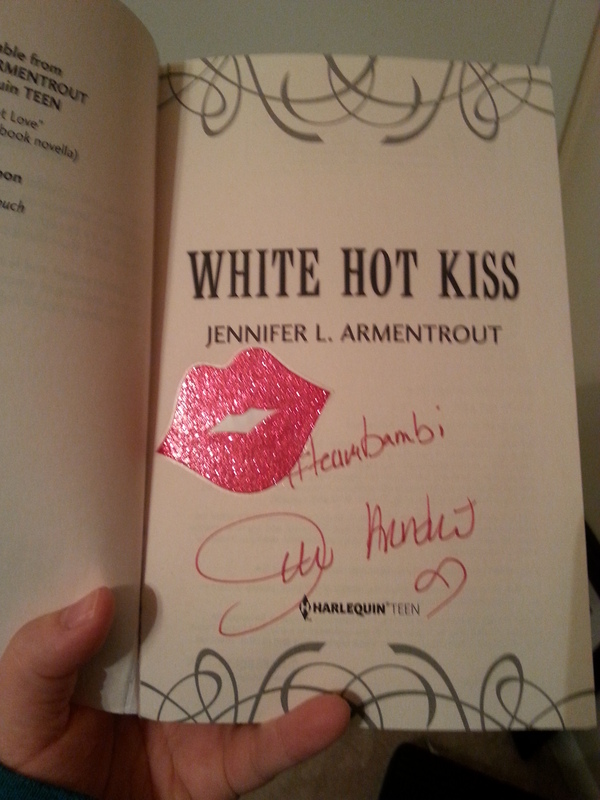 This book is FABULOUS, and I’ve been lucky enough to meet Jennifer L. Arementrout many times over the past few years… the latest giving me an opportunity to pick up a copy of White Hot Kiss for giveaway, because I am always looking to give back to my faithful readers, and what better to do so than with a signed giveaway of one of my favorite books? This contest is open internationally and will end at 12:01am EST on November 14th. The winner will receive email notification! Please read my giveaway policy and leave me a comment! 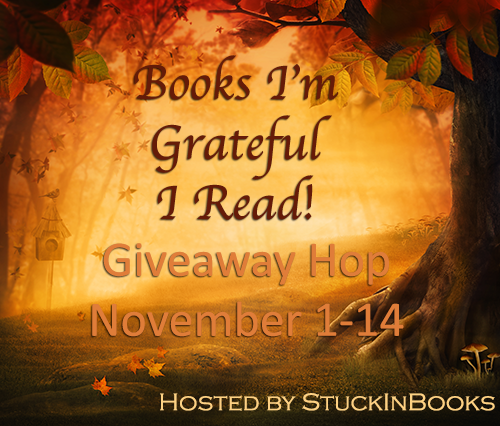 To enter even more giveaway hops, jump on over to Stuck in Books to see them all, or click this linky to view all the blogs that are part of this hop. 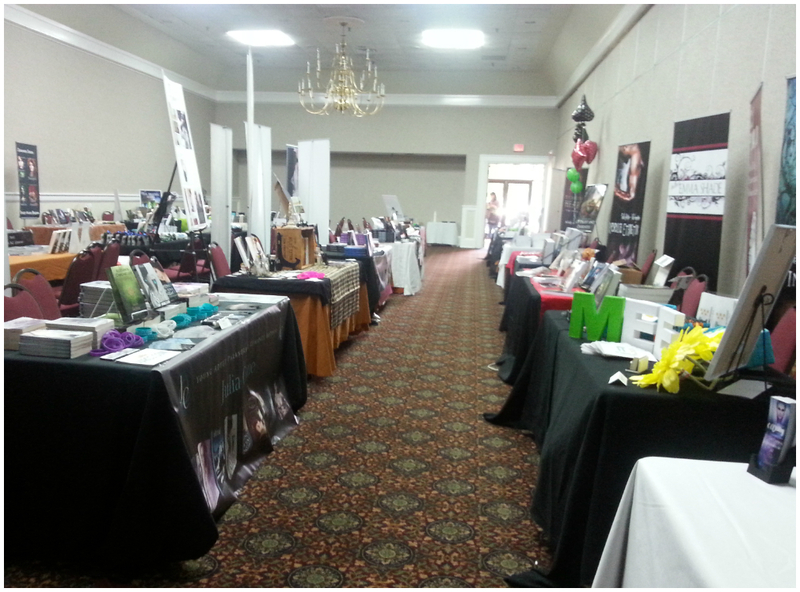 On August 3, I had the opportunity to attend the Shore Leave Convention, an annual sci-fi con that apparently takes place every year. 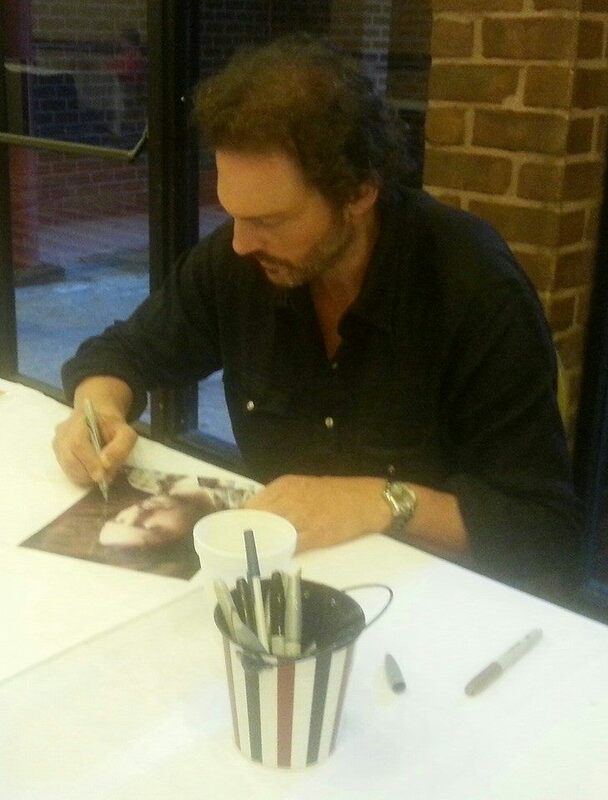 I’d never heard of it, but the newspaper had a little write-up about it, and when I saw that Silas Weir Mitchell—Monroe from GRIMM—was going to be in attendance, I drove right up! I wandered around for a while and it was definitely an experience, from the people dressed up to the Tardis booth, there were lots of interesting people and attractions to see. 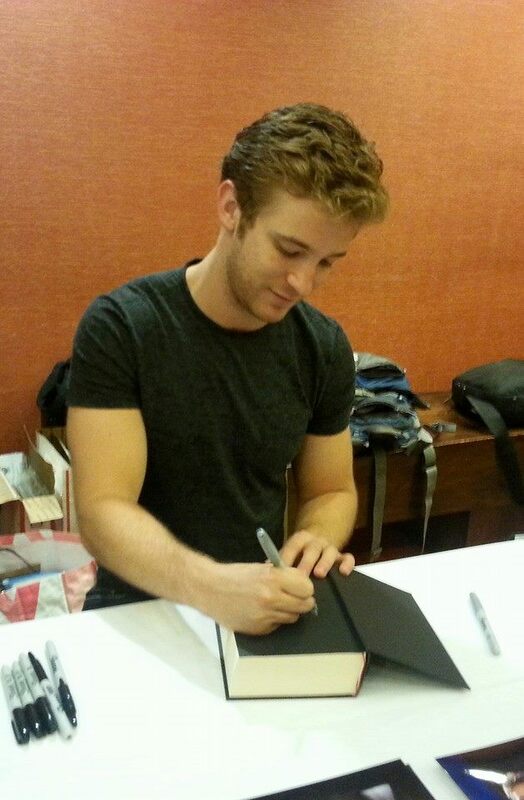 I met Michael Welch while there—Mike Newton from Twilight, among other roles—and had him sign all my Twilight books; he was really chill and nice about it. And cute. 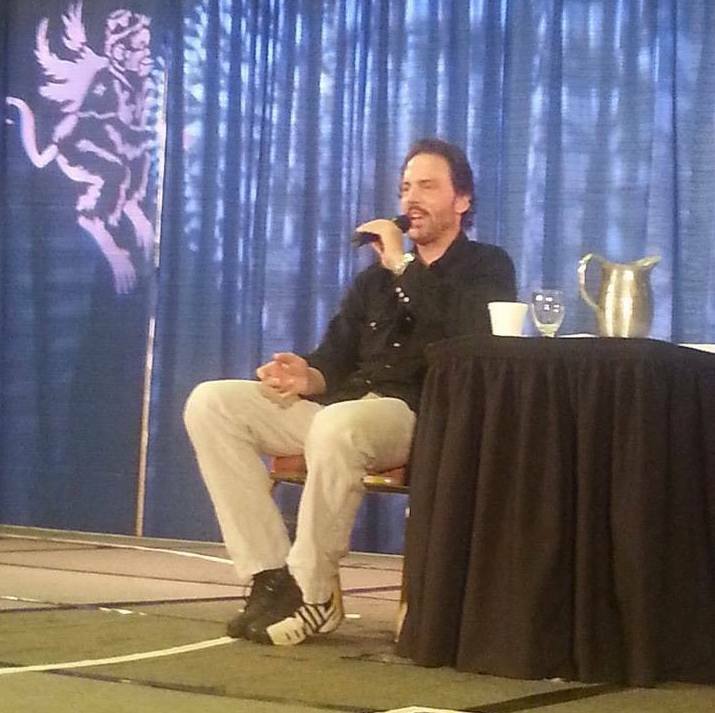 And then I attended an hour long question and answer with Silas Weir Mitchell, and it was amazing. He was funny, articulate, and very much Monroe. It was awesome to hear about how he got his start in acting, how GRIMM actually came to be, and what all his fellow co-stars were like. His mannerisms and facial expressions were the definition of Monroe, and it was so cool to actually see him up close (I was in row 2) and realize how much he really made Monroe his own character. Perfection. There was a signing a little while after his question and answer session, and so I did get to talk to him just a tiny bit while he signed some photos for me, and you know that I’m always thinking of my blog readers and potential giveaways whenever I go somewhere cool, so you know I got Silas to sign an 8×10 photo of himself just for a giveaway on the blog. 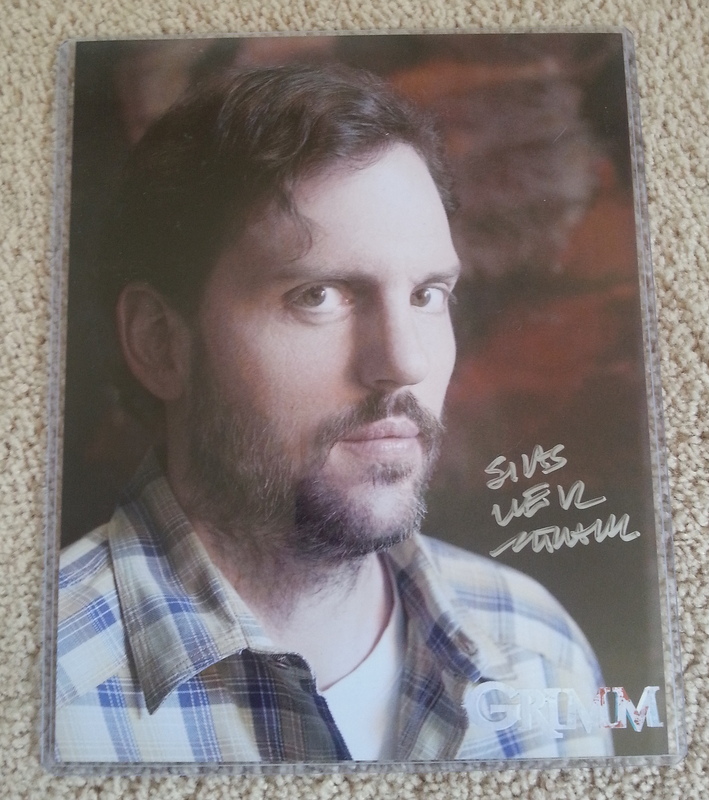 So, without further ado, I give you the signed 8×10 Silas Weir Mitchell photo that I’m giving away to one lucky winner, complete with a photo protector. This is an international giveaway. Good luck! This contest is OPEN INTERNATIONALLY and will end at 12:01am EST on September 10th. The winner will receive email notification! Please read my giveaway policy and leave me a comment! 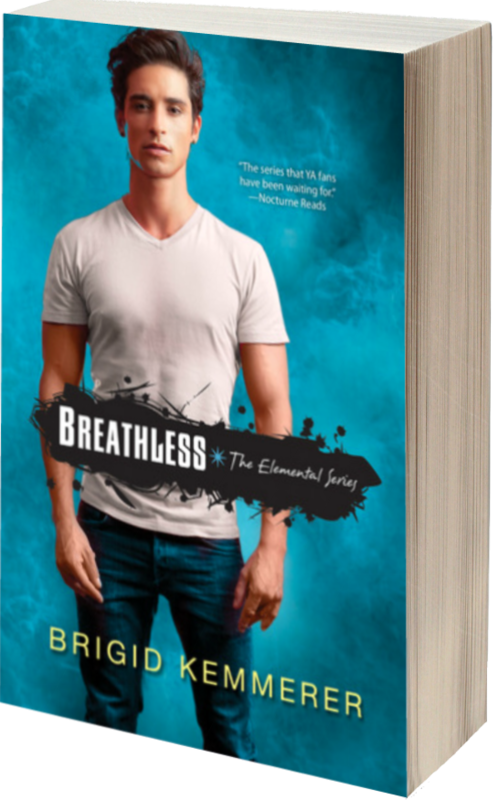 Yesterday was Brigid Kemmerer’s Release Party for Secret, book four in her fabulous Elemental Series, and I was lucky enough to not only attend, but also pick up an extra signed copy for giveaway!!! 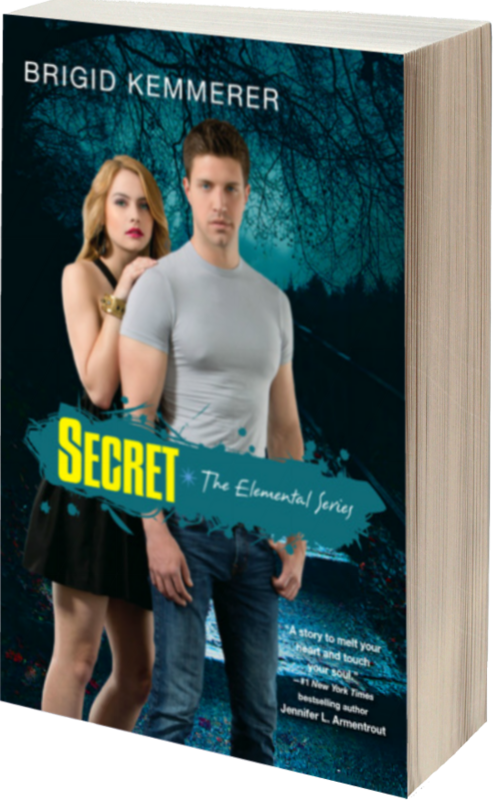 AND, I have a signed ARC of Secret up for grabs as well! Nick Merrick is stretched to breaking point. He’s trying to keep his grades sky-high or he won’t get in to college. He’s trying to keep his brother’s business afloat or the Merricks will be out on the street. He’s trying to keep the secret of where he’s going in the evenings from his twin brother Gabriel – or he fears he’ll lose his family. And he’s trying to keep his mind off the hot, self-assured dancer who is his ‘girlfriend’s’ partner. 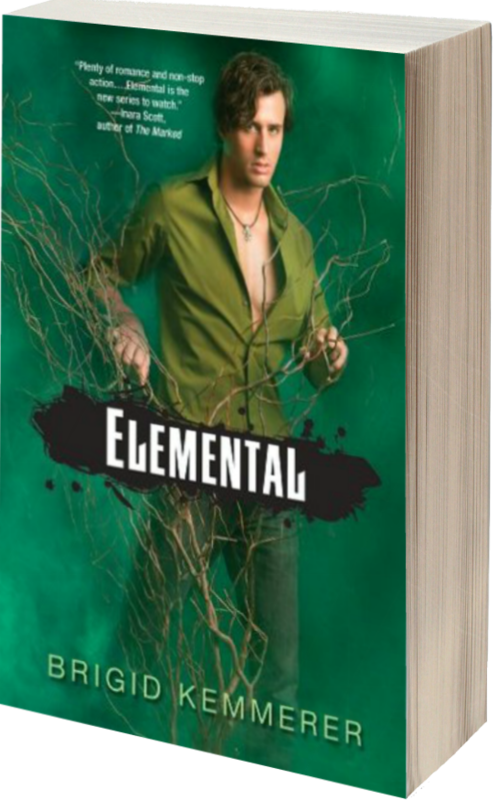 And then Quinn takes to hanging around his sworn enemy, and an Elemental Guide is counting the hours until he can try again to kill the Merrick brothers. Storms are brewing. On all sides. SECRETS IN THE WIND. DANGER IN THE AIR. 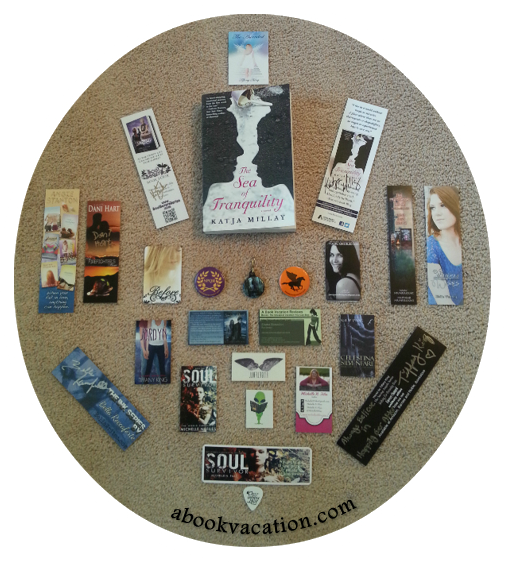 Click this Rafflecopter Link to Enter! 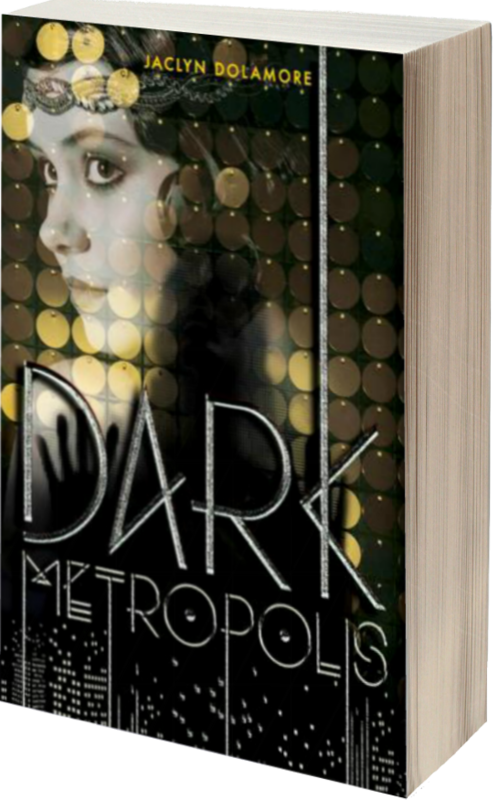 We will have TWO winners for this giveaway–one will receive the SIGNED ARC and one will receive the SIGNED paperback. 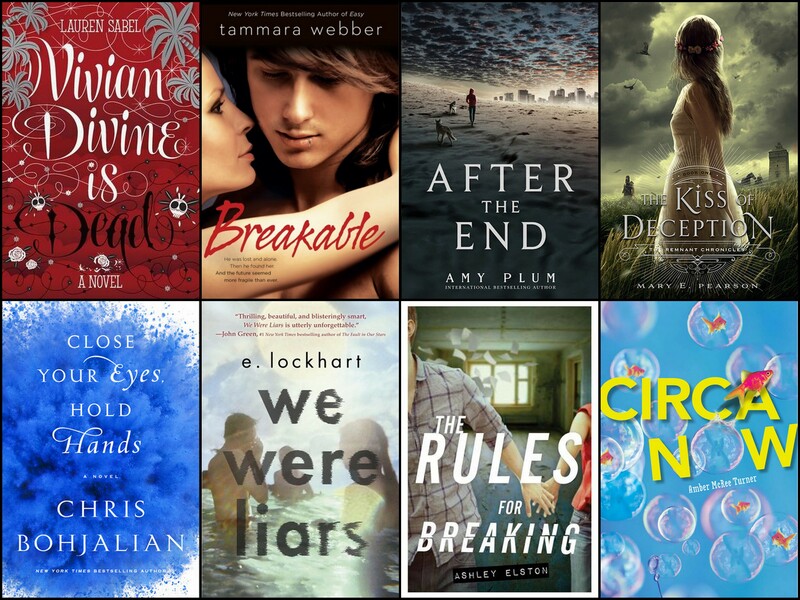 Winners for each will be chosen at random by Rafflecopter! 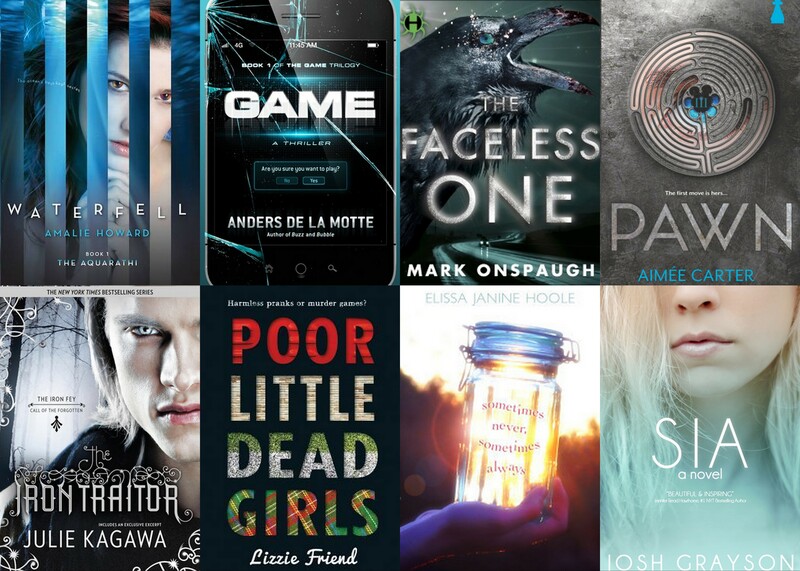 This giveaway is open to USA and Canadian entrants only (so sorry–see my other giveaways for international ones) and will end at 12:01am EST on February 23rd. Please only enter once. The winner will be announced later on February 23rd, and will receive email notification! Please read my giveaway policy and leave me a comment! 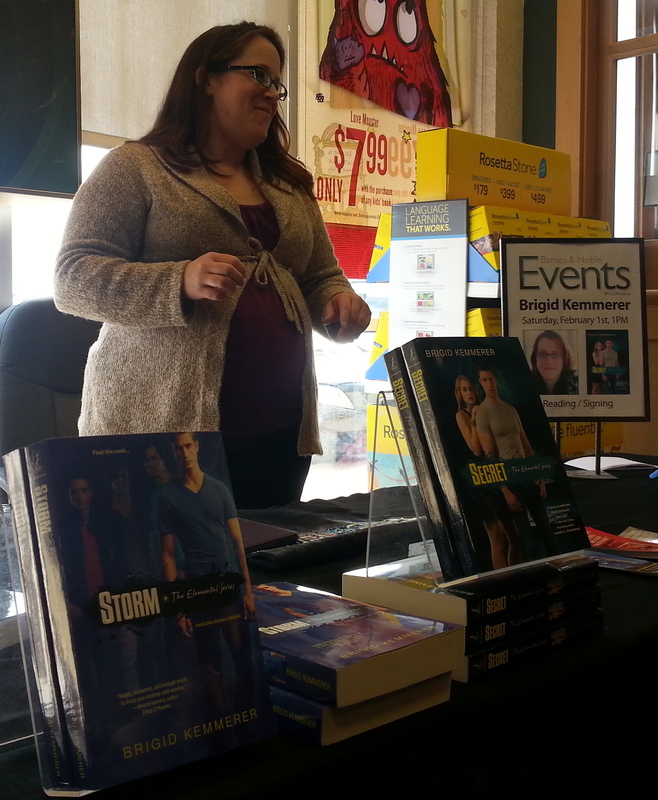 And check out the other books in the series–because YOU NEED THEM!! Good morning, and happy Sunday!! 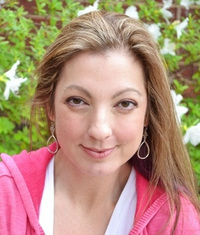 Today, I have something quite awesome for you on behalf of Tammara Webber, the author of the amazing Between the Lines series!! 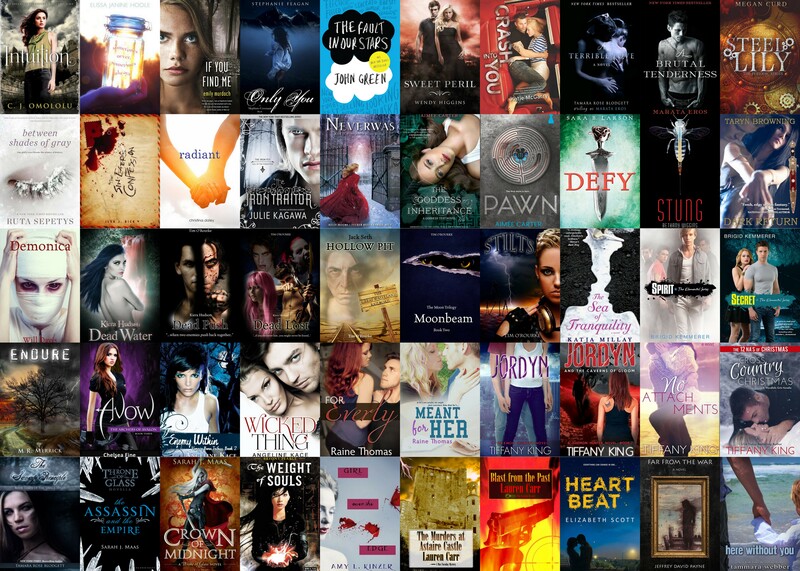 Tammara is GIVING AWAY an ENTIRE SET of her Between the Lines Series (that’s all four books), SIGNED, and the winner gets to CHOOSE whether they want the US of UK version!! AH-MAY-ZING!!! 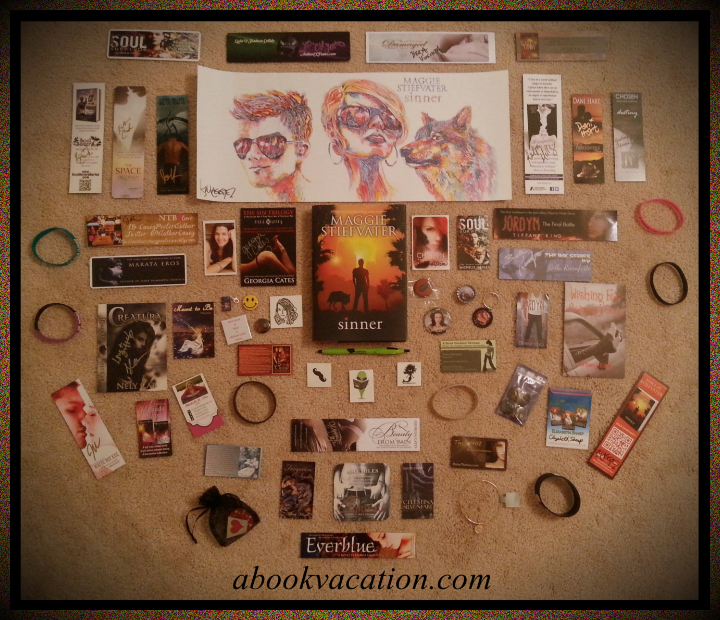 This is an international giveaway!!! 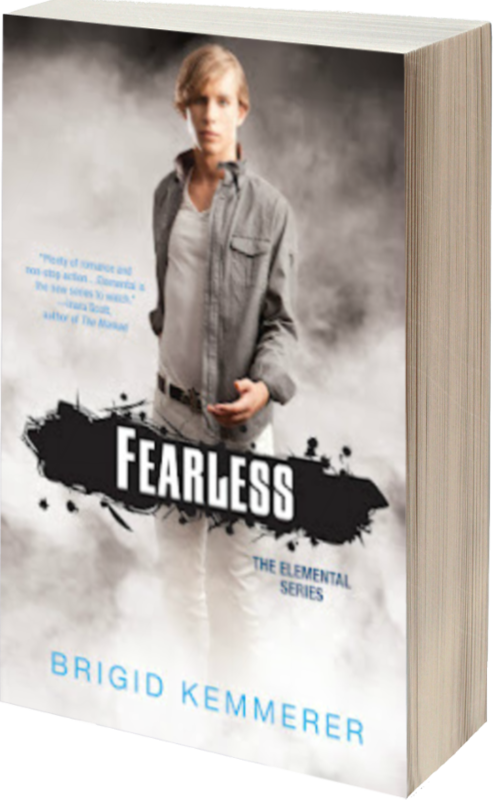 I’ve been reading Tammara’s work since the very beginning, and let me tell you, every single book in this series is phenomenal!! 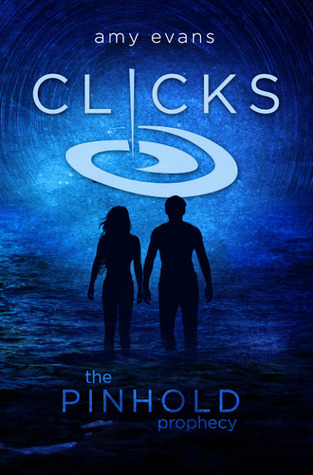 I fell in love with them immediately, and I’ve given them ALL 5+ stars in my reviews! 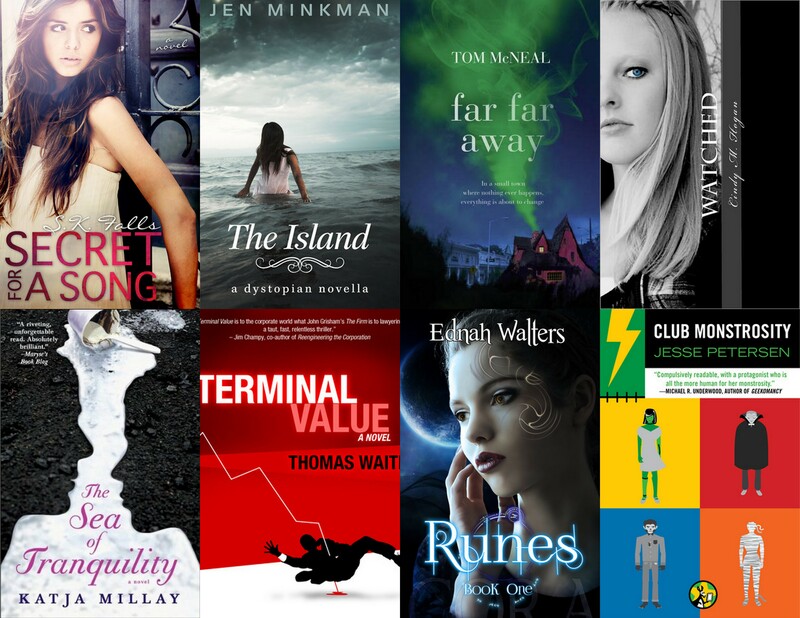 Now, take a look at these cover choices!! And you get to choose which set you’d like if you win! 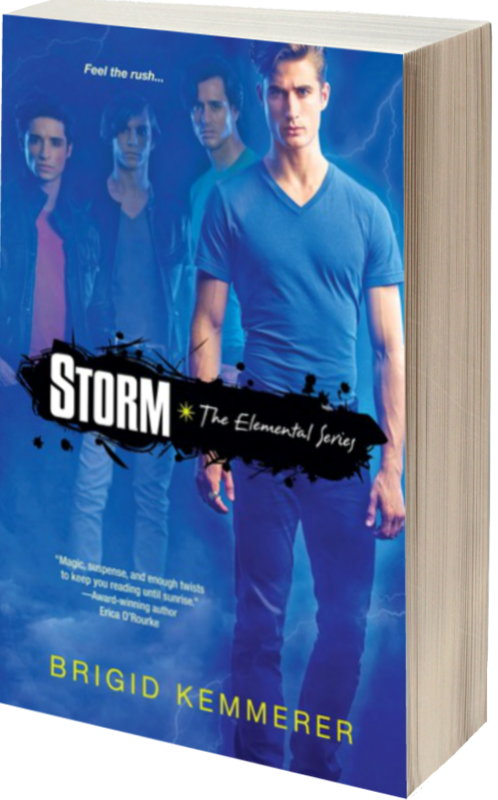 Tammara will sign them, and they’ll be sent wherever you want as this is an INTERNATIONAL giveaway! That’s right! Tell your friends! This is EPIC!!! 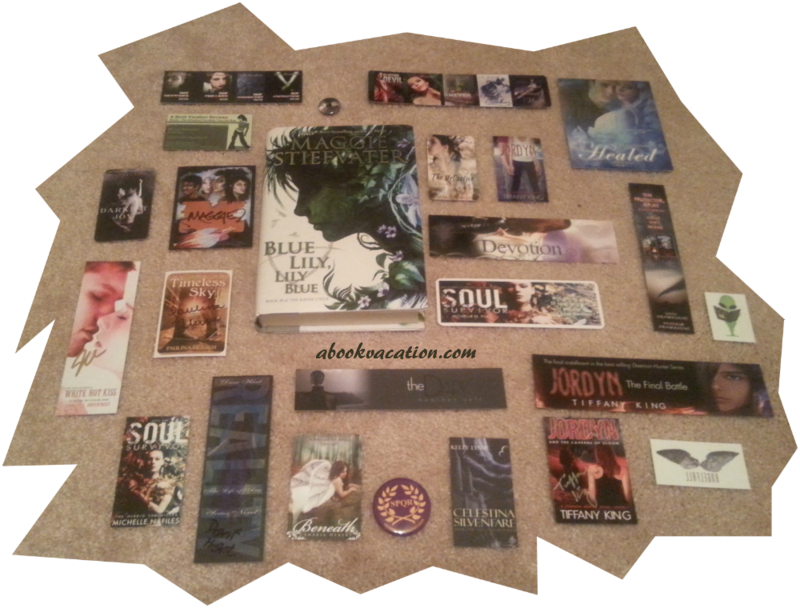 This giveaway is open internationally and will end at 12:01am EST on September 29th at 12:01am. Please only enter once. The winner will be announced later on September 29th, and will receive email notification! Please read my giveaway policy and leave me a comment! 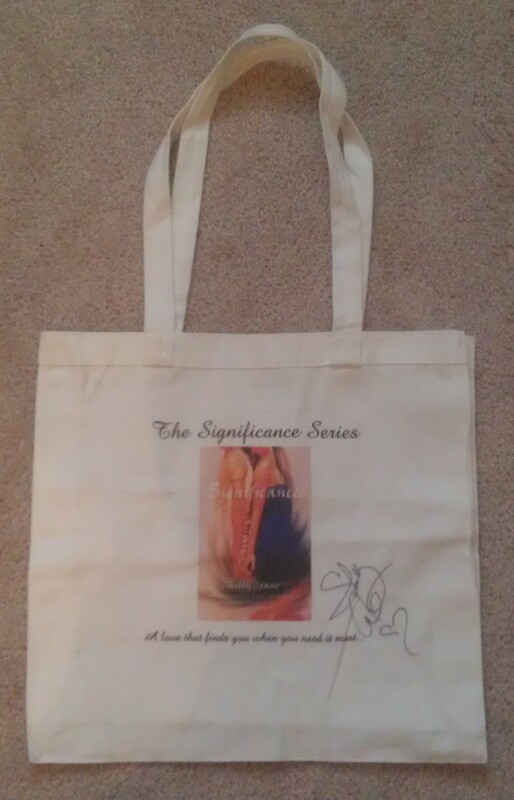 The winner of a Significance Series Tote Bag Signed by Shelly Crane has just concluded, and I’m excited to say that the winner has been chosen via Rafflecopter. A tweet has already gone out to the winner, and an email will go out later this evening! If I don’t hear from the winner within 48 hours, I will select a new winner using Rafflecopter. Thanks to everyone who participated, and congratulations to the winner… but don’t despair if you didn’t win this round! This giveaway is open to USA and Canadian entrants only and will end at 12:01am EST on September 8th at 12:01am. Please only enter once. The winner will be announced later on September 8th, and will receive email notification! Please read my giveaway policy and leave me a comment!